Gorogoa is transcendent. It's unlike any other game I have played, with the possible exception of Portal. Indeed it's fitting that Valve's mini-masterpiece is the only game I can bring to mind that bears any passing resemblance to Buried Signal's puzzler, because my feelings toward it after having completed it are strikingly similar. Gorogoa is a game that, in less than two hours, has altered my understanding of what video games are capable of. It is that good. 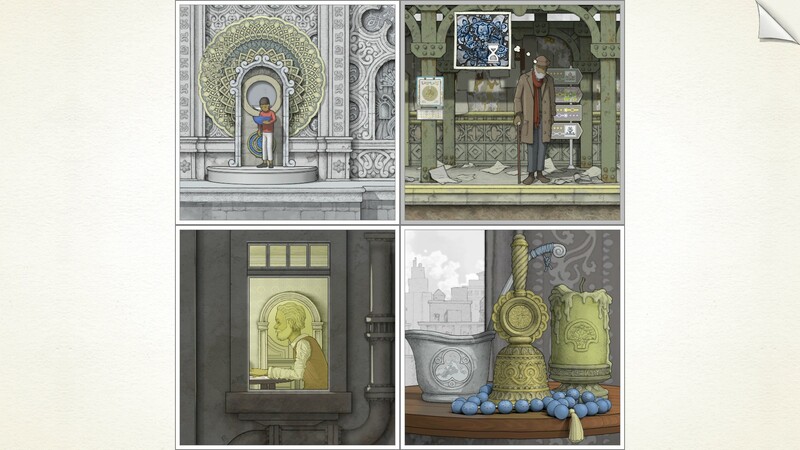 Like Portal, Gorogoa is a game about creating pathways between seemingly impossible locations. Yet the implementation is strikingly different and arguably even more mind-bending than Valve's game. The story, or at least the plot, sees you guiding a small boy on a journey to collect five exotic fruit, which he plans to feed to a dragon-like creature that has appeared in his home city. 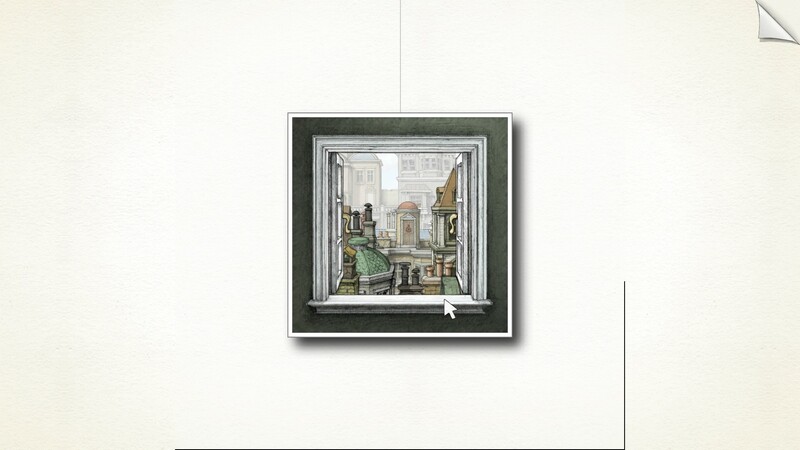 This story is told through hand-animated panels, creating an effect like a moving comic-strip. 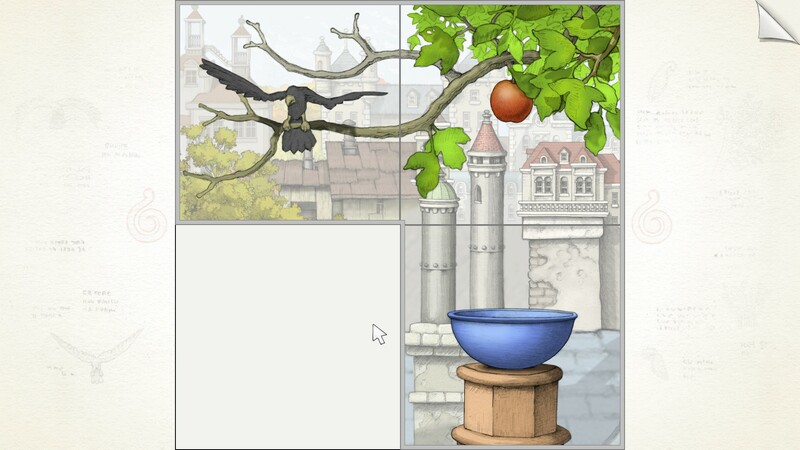 At first, only one of these panels is used, and arguably the first puzzle is figuring out what the other panels are for. Soon enough, it becomes apparent that you can drag elements from one panel into another. For example, one scene might have a doorway which the boy passes through. You can then drag the door-frame out from the scene and place it in another panel. This might then reveal a difference scene in the original panel, which you can drag more objects out of and recombine later. It's an absolutely majestic mechanic, infusing Portal-like spatial enigmas into a comic-book where you can delve into each panel and explore beyond the reaches of their borders. 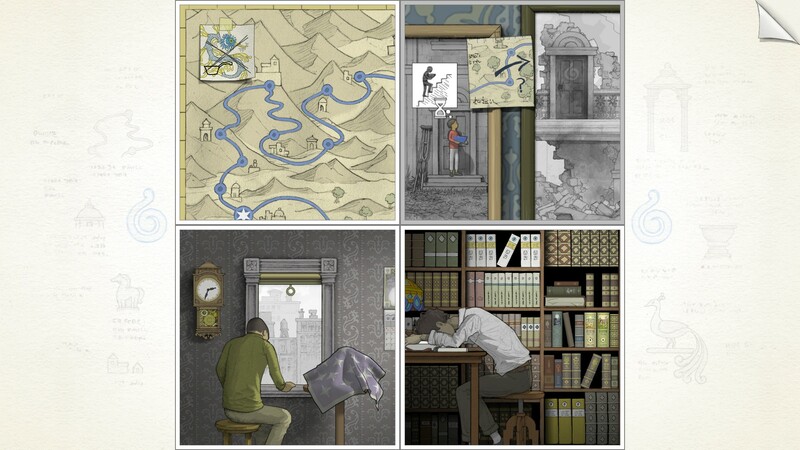 The result is a living jigsaw puzzle where all the pieces are hidden inside the very image that the puzzle depicts. 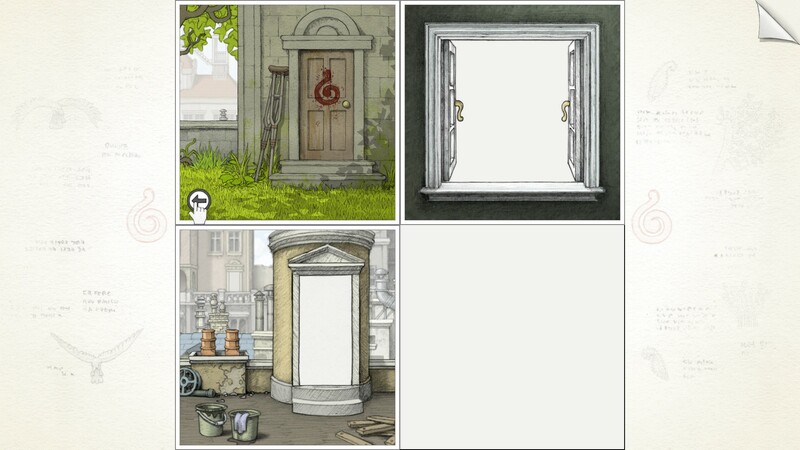 To describe precisely how these puzzles work would be to spoil Gorogoa as an experience, but there are a handful of different puzzle structures that Gorogoa relies on. One recurring conundrum involves connecting two panels so that the boy can walk across the screen to his next location. This is usually cued by the boy walking to edge of the first panel and waiting there. The second panel will be hidden inside another scene, perhaps concealed behind a door or a window, masquerading a picture in a book on a stack of shelves, or hovering inside the thought bubble of another, seemingly unrelated character. As the game progresses, the puzzles become more elaborate. Indeed, the last three of the five acts are comprised of single large puzzles that contain smaller conundrums inside them. One of these is themed around gears and mechanisms, and consequently has you scouring the images and patterns the game depicts, searching for anything that might serve as a cog in the giant celestial machine you're trying to build. Part of what I love about Gorogoa is that it makes you feel incredibly clever, yet it's the game doing most of the heavy lifting. Most of the time you're solving puzzles through intuition and gut feeling rather than crunching hard logic. Toward the latter stages you have to start thinking more actively about how to solve each puzzle. But even here the road to the solution is usually visible, and Gorogoa is good at gauging the borders of possibility so that you don't get stuck for too long. This notion of solving puzzles through instinct is entirely in-keeping with the game's tone. Like the puzzles, the story is communicated to you wordlessly, a seemingly disconnected set of images and music that washes over you as you play. As each scene trickles past your eyes, however, you pick up on little bits here and there, connecting them together almost subconsciously. Gorogoa's world blends reality with myth, the modern world with abstract, MC Escher-like dreamscapes. It utilises patterns, glyphs, and symbols from a dozen different cultures, none of which seem connected until you quite literally connect them. You gradually become aware of who the different people in each scene are and where exactly your journey is taking you. There are no shock twists or dramatic reveals to speak of; instead it's a slow yet satisfying accumulation of understanding. It's difficult to find much fault with Gorogoa, apart from the fact that it is very short. It's entirely possible to complete the game in ninety minutes, and I imagine most will finish it in less than two and a half hours. But the amount of inventiveness and satisfaction that Gorogoa crams into that fleeting running time is mightily impressive, and although I could easily have played more, I didn't feel like I'd been short-changed in any way. There's also little question that Gorogoa is a very scholarly game, one that is well read and unlikely to communicate its meaning to you in an explicit manner. Importantly though, it isn't pretentious. You don't need to fully comprehend every image that Gorogoa presents you with to enjoy it. There's more than enough satisfaction in putting the puzzle pieces together. Once you've figured out those solutions, you can go back and concentrate on piecing together the narrative. 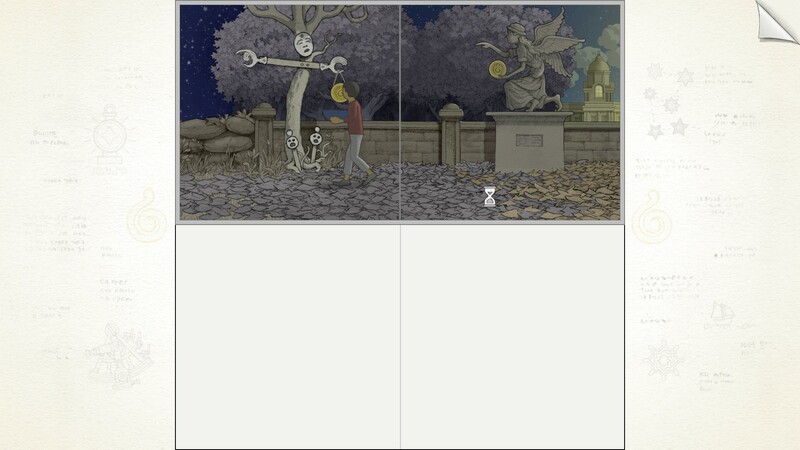 It's this layering that's part of what makes Gorogoa such an invigorating experience, even though there's ultimately one solution to the puzzle, it feels like there's so much more to discover beyond the confines of those panel borders. I'm so glad that Gorogoa has suddenly turned up at the end of the year, like a Christmas present where the joy stems from the many different ways you can unwrap it. It's been a year of highs and lows for the industry, overshadowed by some high-profile failures and ongoing controversies. Gorogoa is a stark reminder of what gaming can be like at its very best, a living artwork that lets you physically pick it apart to reveal its innermost secrets.